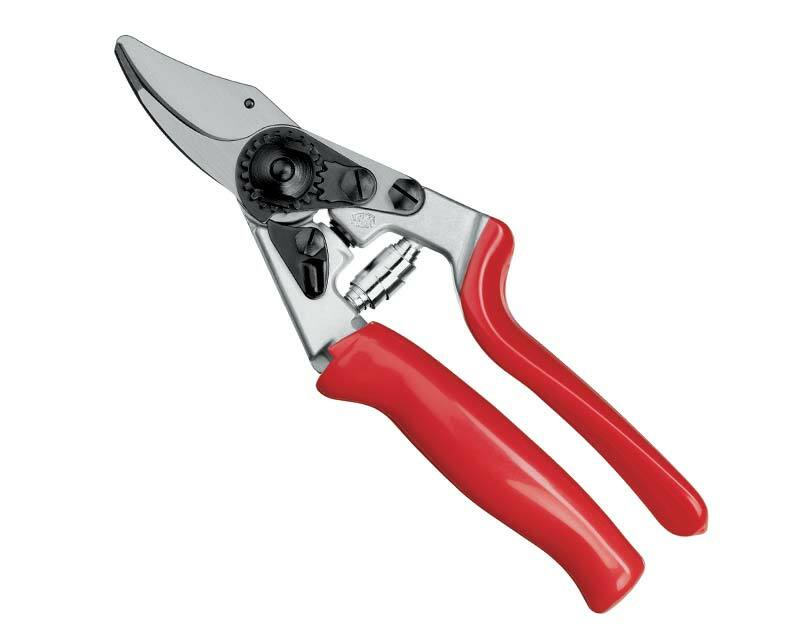 These secateurs are recommended for heavy and prolonged pruning or for gardeners unable to exert a strong grip, the revolving handle spreads the muscular force evenly over the five fingers, thus preventing tendonitis and inflammation. The forged aluminium handles feature rubber shock absorbers and cushion for protecting the wrist during extended use. There is a toothed centre-nut for aligning the cutting and anvil blades easily for a clean and precise cut throughout the life of the tool. The blade also has a wire-cutting notch and sap groove.